Windows 10 IoT Core build 15043 is now available for Windows Insiders. The latest IoT Core Build 15026 brings many new fixes and other improvements. However, there are some known issues with the build like BluetoothLE paired devices may throw and exception and fail to function properly. Check out the full changelog below. Note that latest build update will be a two process update. First, the system will update to build 15031 and then it will automatically update to build 15043. If you discover any issue, please report it using the feedback app. Clean the help options for the limpet.exe security tool. Fix spelling and other small issues in Windows Device Portal (WDP). Fix an issue which caused a bluescreen when an appx is deployed without a certificate when developer mode is off. Fix bugs to enable enhanced security. Enable IoT Dashboard to identify IPV6 enabled devices. Fix OSK caps lock functionality. Fix bug where Windows Device Portal showed the wrong windows update status. Fix access denied issue in Windows Device Portal command line page. Fix an issue with VibrationDevice APIs. Enable switching languages from Bertha without a reboot. Fix an issue which caused many systems to bluescreen during their first boot. Check for updates does not show the update status. F5 driver deployment does not work on IoT Core. The CPU is under heavy load. The device is under heavy network or storage use. Use a separate USB speaker and USB microphone. Recently, Microsoft released also released Windows 10 Insider build 15042 for PC and Mobile build 10.0.15043.0 for Fast Ring members. 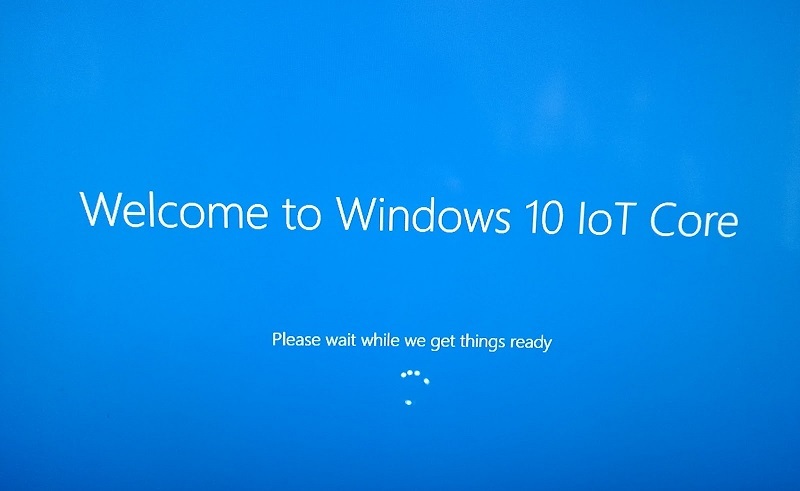 Previously, the company released Windows 10 IoT core build 15025 ISO. You can download it from here. For Windows 10 IoT Core build 15043, check your updates.